Do you ever go on vacation, but try to maintain your workout schedule? We really tried while in NYC, but sometimes there is just too much excitement that we couldn't wake-up before the blistering heat wave. The photo above is pre-run with my BFF - gets dragged along to Espresso Adventures religiously and is subjected as a sounding board.. you have one of those friends that you can always count on.... So we dragged our butts out of our rented apartment and went out to explore Williamsburg, BK. Acquainting yourself with the neighbourhood during your holidays is the best feeling of discovery. Stumbling upon the cafe you were searching for last trip is even bigger bonus. First it happened with Oslo then gimme! We designed our route that we would run up to Manhattan Avenue and loop back towards Lormier. We weren't going for distance, more about exploration. Found some good street art, boutique shops to visit later, and a "White Castle" restaurant. How amazing. Vibrancy is an appropriate word for the transformation of this once predominately Hisidic Jewish, and Latin community. Vintage shops, independent cafes, condos, restaurants, popping up like a well-maintained plant. Here brings us the original Brooklyn Location. Great space, incorporating a great mosaic on the wall with ample seating and a great bar near the machine for those lingering to watch the carefully pulled tight shots. 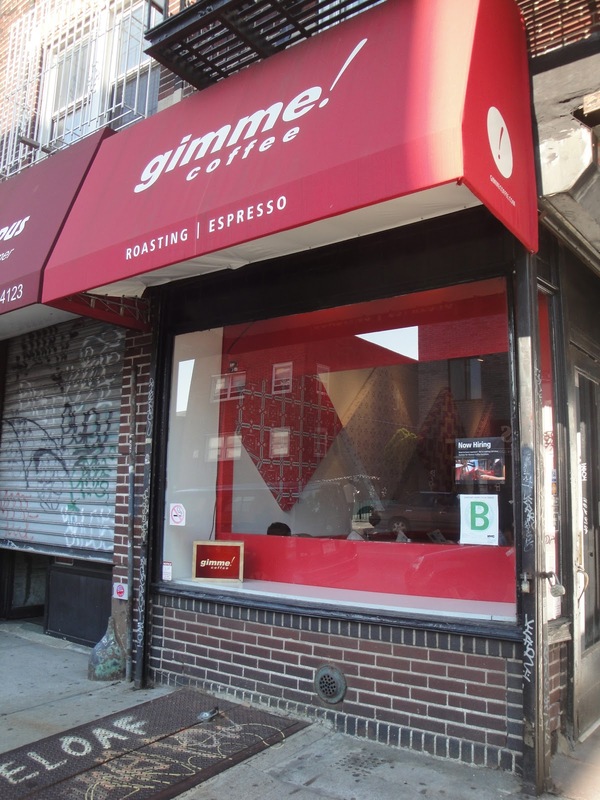 Can we really expect anything less from the independent cafes in New York. Known for their super tight dailed-in sweetness it was quite pleasant to find the Leftist Blend - in a new incarnation have that same taste. Verdict: Think syrupy molasses coats your tongue, as you drink the sweetness flourish and buttery, velvet smoothness that reminds you of freshly made taffy resides for a long lasting taste.